The first reason is that governmental enforcement of new safety laws, the estimated strength of Safety personnel required today has climbed up to 40000 per year in India and Middle East alone. The recent adoption of constructional Safety Act by parliament has made appointment of safety officers compulsory at all Factories and construction sites. As a result many number of opportunities is opening up in India & Abroad, and second is, It is a highly paid job in India, the starting salary for frashers student is in the range of 7500/- to 22500/- per month. Abroad it is in the range of Rs. 65000/- to Rs. 80000/- and third is, It is a job with high status,A safety officer is a highly respected person in his office. He works with dignity and it is always a management position. 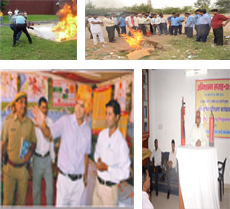 Sai Sagar Institute of Safety Management is ultimate destination for all safety related programme,This is only one institute in northern India which provides complete fire safety training by their experienced faculties.SSISM is the venture of Srimati Shusheela Devi saikshnik Sansthan(Reg.) Bharatpur, Raj. 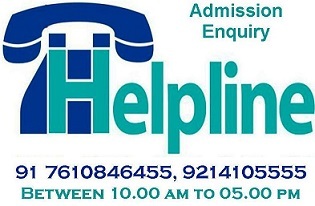 SSISM is a Authorized Study Center of Mahatma Gandhi University, Shillong, Meghalaya, India. Corporate Member of the National Safety Council. Mumbai. 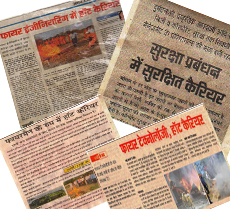 Company Member of institution of Fire Engineers (India) ssism is an institute which offers job oriented course at affordable cost to the student of India .Institute objective is to develop high academic standards and quality of education for its programs so as to extendlimitations beyond traditional classroom situations and to create through effective education, training and research. 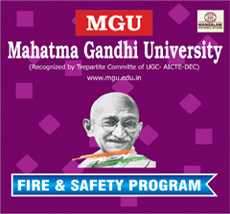 Admission open for the of session 2018-19 in various courses of Fire & Safety. Exam notification session Jun.2018 to May.2019 exam will be held on April. 2019. Our many students have selected for the government job in Rajasthan Nagar Nigam / Nagar Parishad /Nagar Palikas etc.